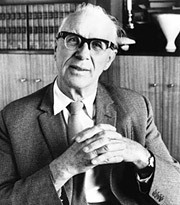 www.sefindia.org :: View topic - Sir Ove Arup and Sydney Opera House- Interesting Storey! Posted: Thu Jun 26, 2014 3:15 pm Post subject: Sir Ove Arup and Sydney Opera House- Interesting Storey! from the harbour [source: Wikipedia]. Identified as one of the 20th century's most distinctive buildings and one of the most famous performing arts centres in the world,the Sydney Opera House became a UNESCO World Heritage Site on 28 June 2007.
metaphorical associations, varying from the sublime to the humorous. These include not only sails and shells, but also clouds, space ships, ﬂ owers unfolding, turtles making love, barnacles, the glistening skin of ﬁsh-scales, a scrum of nuns and a dish rack full of crockery!